Since becoming a mortgage broker in 2013, I have established strong relationships with all lender and recognised as an Emerging Elite Member of Loan Market. I have an extensive amount of knowledge and experience with the finance markets thus gaining a wide vision of my clients’ potential. The loan process is often difficult to understand, especially for first-home buyers, therefore simplifying the complicated financial processes is my key objective as I value simplicity and convenience for my clients. I treat my customers with a constant enthusiastic attitude and great attention to detail. 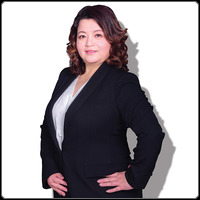 I am fluent in both English and Mandarin, and I have gained an excellent understanding of the relations in the Chinese community and my clients’ needs.